If the human can be said to be the microcosm of the Universe, the same must be true for each of its parts. This is the concept of holography. Our face, as part of ourselves, symbolizes us and therefore represents us wholly. Everything that we are is projected onto our face, in particular our physiological, psychological, and even pathological state. This is where the notion of “mirror” comes from, which is at the base of all reflexology, and the organ is in a subtle relationship with its corresponding zone; here a point on the face. Dien’ Cham’ consists in the stimulation of these facial reflex zones. Using this technique energy is roused and circulated, allowing organs to naturally recover their vitality and correct functioning. With both curative and preventive qualities, this method maintains good health and stimulates the body’s essential functions. It reinforces the body’s natural immune system defenses, allowing the body to heal itself. Let us first underline the ease of this therapy, which can be extremely useful to you or your friends and relatives, but can also allow you to help someone in the street or at your workplace in the case of an accident, for example, while waiting for professional help. If you are already a therapist, facial reflexology can be of great use by allowing you to procure immediate and effective relief for your patient. Just think that your patient who came to see you doubled up in pain with a lumbago could very well leave your office or surgery walking tall, thanks to a few strokes with a pencil or a special toothed roller! Obviously, it should be made clear that Dien’ Cham’ cannot replace classical medical treatment in the case of serious injury, or when the pain persists after stimulation. On the other hand, combined with the standard treatment, Dien’ Cham’ can activate your immune system, attenuating any toxic effects from medicines and drugs taken to put you on your feet quickly. Therefore it is a special complementary therapy, which can be used in conjunction with any other kind of treatment. 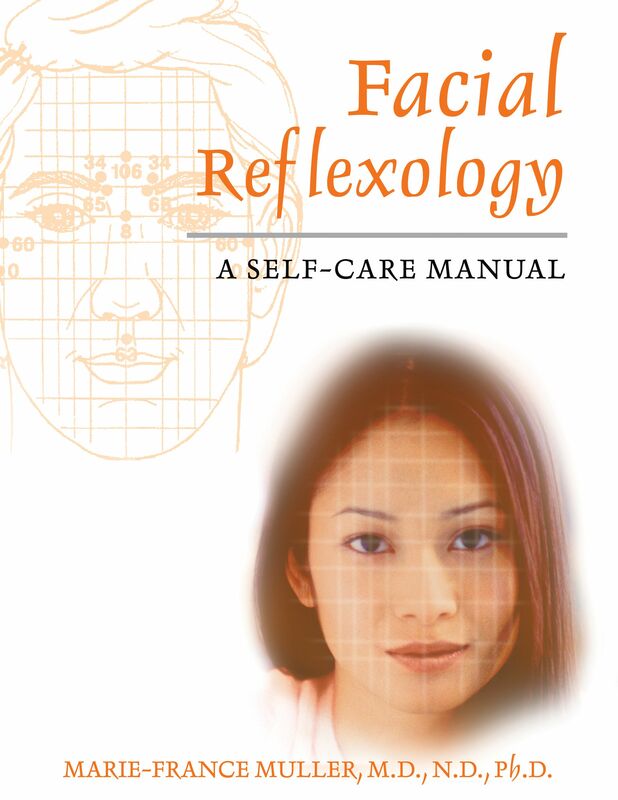 The great attraction of facial reflexology is that it is capable of preventing and giving relief from many of the little ailments and pains that diminish your quality of life and that modern medicine often cannot cure, except with stronger and usually more toxic medicines. Let us have a look at the simple example of the common cold. If you are a little attentive to what is going on in your body, you will know the preliminary signs of a cold: haziness in the head, the beginnings of a sore throat, a dry and tickly nose, and the feeling that you cannot breathe easily. Ideally you should act as soon as you recognize these signs without waiting to arrive back home. It is very likely that if you wait your nose will already have started running and in this case nothing will stop it, even if you may be able to procure some relief. If you had just given yourself thirty seconds of reflexology at the outset, you would have saved yourself several days of misery! I remember one particular day when I suddenly felt the first symptoms of a cold. It was a warm day in the fall and I was driving my automobile with the windows wide open from the start of the trip. I was on my way to an exhibition of natural medicine in Geneva where I was to spend several days giving conferences and signing books. You can see the problem if I had come with a red nose and all blocked up! I stopped at the next service area on the turnpike and performed the short stimulation, which only requires use of the fingers. In less than a minute every sign had disappeared, and I continued my drive with a calm mind. In some cases one session is enough. A Japanese saying has it that a cold that is neglected can open the doors to all kinds of sicknesses. Even if a cold usually leaves without a trace, we must remain alert to the possibility of complications, especially in children and older people, whose natural defenses are weaker. It is advisable to remember this and the fact that over two hundred viruses can come into play. To treat a cold, stimulate points 50, 19, 3, 61, 26, 124, 0. Most people catch two or three colds a year with all of the usual complications you surely know about: coryza, sometimes sinusitis, runny nose, watery and irritated eyes. The stimulation of the points indicated will bring rapid relief, especially marvelous given the poor results usually obtained with other therapies proposed. It is only necessary for you to be a little tired for a chill to penetrate. A while later the head cold starts with its usual first symptoms of a runny nose, itchy throat and sneezing. You must boost your energy right away. Using your index fingers rub around the nostrils up and down vigorously, as well as in front of the ears as shown on the diagram opposite. Using the knuckle of the thumb energetically rub the center of the forehead at level of points 106, 103, and 342. It is also advised to consume only warm liquids. You can warm the points indicated using a joss stick as a moxa. In this case just bring the red-hot end close to the chosen point so that you can feel the heat. Be careful to not burn yourself. You can also warm up the face using your hairdryer. Strange, but it works. Try to remember to repeat this stimulation if you are again obliged to go out into the cold.